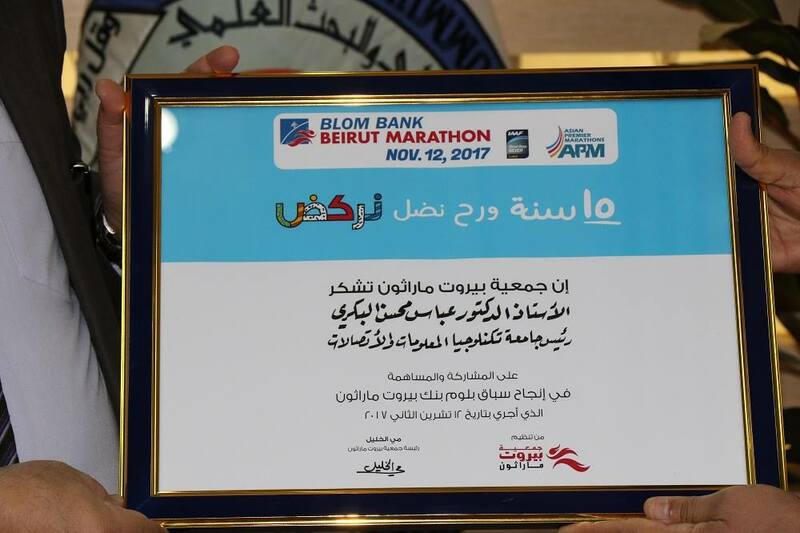 Department of Student Activities Gives the Certificate of Thanks to the University President that he got in the Beirut Marathon. 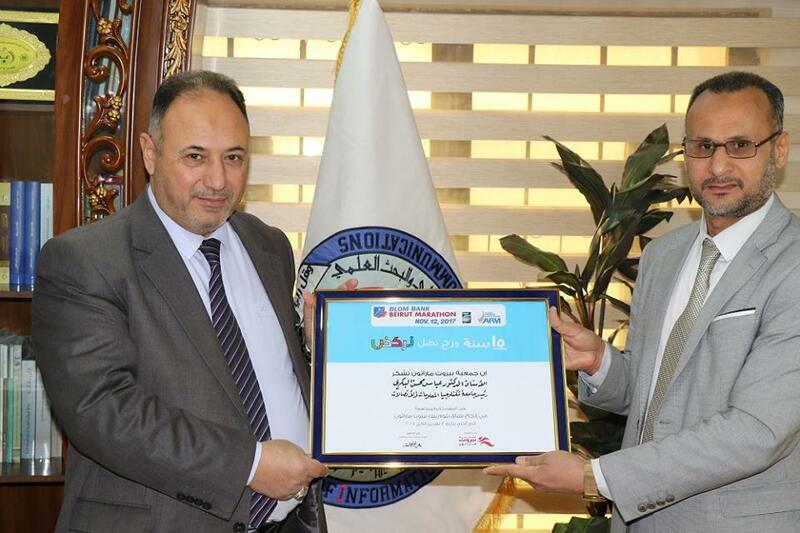 The President of the University, Prof. Dr. Abbas M. Al-Bakry got a certificate of thanks from the Beirut Marathon Association for participating and contributing in the success of the Beirut Blom Bank Beirut Marathon, which was organized a while ago in Lebanon. 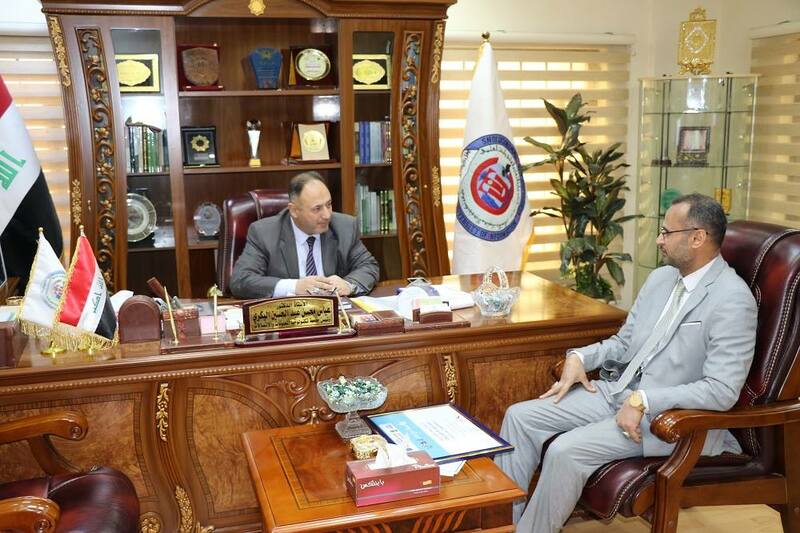 Dr. Emad K. Al-Kaabi, Head of Student Activities department at the UOITC, thanked the President of the University for his participation in the Beirut Marathon. The UOITC participated through the Student Activities department in Beirut Marathon and got the 12th position out of the 50,000 participants from around the world.